With just over two months left in the calendar year, one can look back and see what a bumpy road it has been for some metals. The platinum-group metal (PGM) hit a record high Tuesday, Reuters reported, on account of tight supplies and, to some extent, worries over a potential increase in tensions between the U.S. and Russia. As we’ve noted in this space in the past, fellow PGM platinum has historically traded at a premium to palladium. That has changed in the last year. As MetalMiner’s Taras Berezowsky noted earlier this month, palladium breached the $1,000 per ounce mark for the first time in eight months. 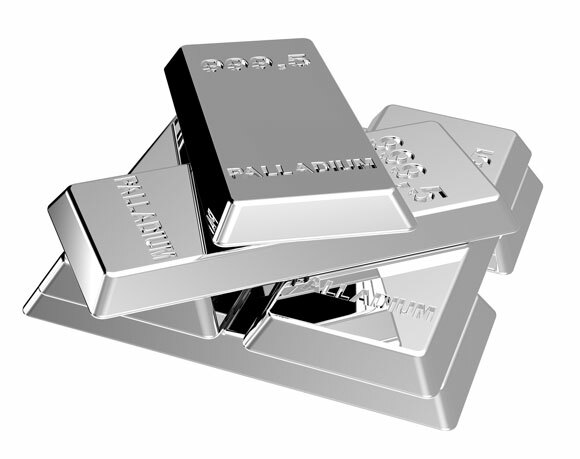 In the ensuing weeks, the price has continued to rise, hitting $1,090 on Monday, according to London Platinum and Palladium Market data. On Tuesday, the price surged to $1,150.50 per ounce, breaching the 2018 high set in January ($1,128). Palladium is used, among other applications, in automotive catalytic converters, used in car exhaust systems to process polluting gases into less harmful gases. According to Reuters, some analysts indicated the U.S.’s plans to withdraw from the Intermediate-Range Nuclear Forces Treaty could result in Russia restricting supply of the metal (Russia is the world’s top palladium producer). In terms of U.S. production, in 2017 “one domestic company produced about 16,900 kilograms of platinum-group metals (PGMs) with an estimated value of about $480 million from its two mines in south-central Montana,” according to the U.S. Geological Survey (USGS). Furthermore, according to the USGS, 25% of the U.S.’s palladium imports from 2013-2016 came from Russia, just behind South Africa (30%), which has been the U.S.’s leading source of the metal. Russia produced an estimated 81,000 kg of palladium in 2017. Given palladium’s sharp upturn, however, it bears watching, as a correction could be on the way.